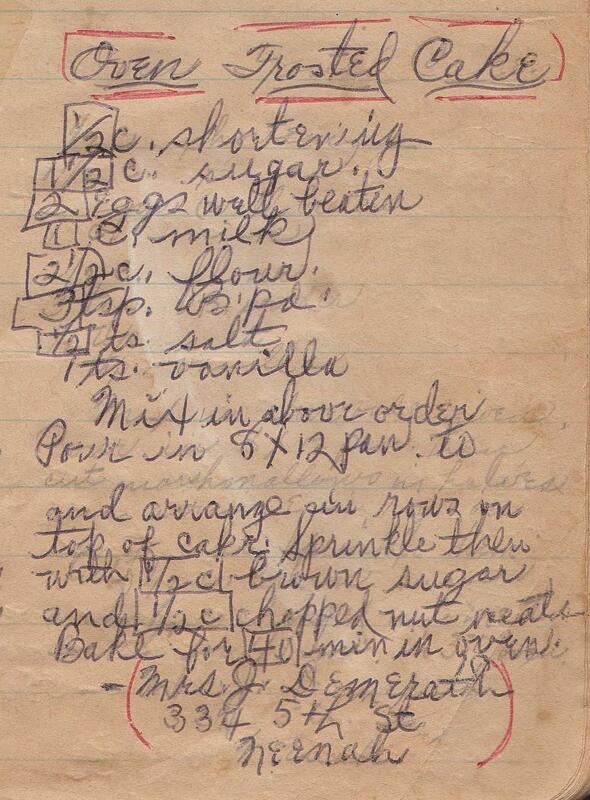 Frosting has long been my Achilles heel, and so I was thrilled to discover this recipe which promised an easy solution. And it does, sort of, if you think half-melted, half-toasted marshmallows constitute a proper frosting. It may not be proper -- or pretty -- but it's really good, especially the day after it's baked, when the marshmallows become even creamier. The cake beneath is excellent, with its delicate flavor and melt-in-your-mouth crumb. Oven Frosted Cake is the perfect midwinter treat, as it satisfies the craving for toasted marshmallows in a most delicious way, allowing one to get just a tiny taste of summer on a dreary January day. This couldn't have been easier to make. 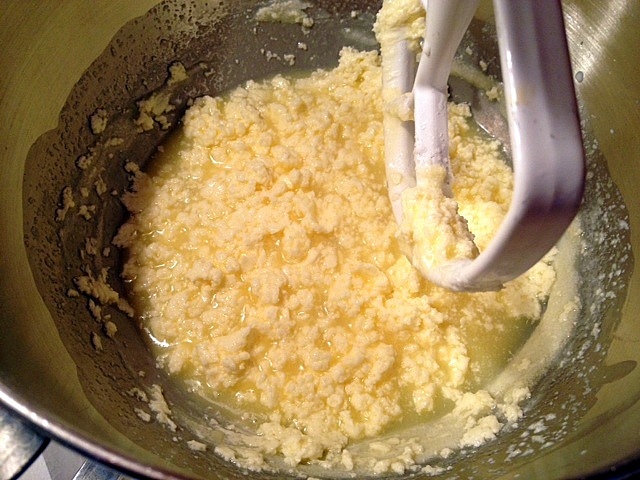 Mix the butter and sugar, and add the eggs. You'll think the whole thing is ruined at first (I did), because it looks curdled. But carry on. With just a few minutes in the mixer, a satiny batter will appear. Pour or spoon it into the pan. It is very thick, and you'll need to spread it out using a spatula. I used parchment to line the pan, but greasing and flouring work fine. Cutting the marshmallows is most easily accomplished by using a small serrated knife. Place them on the cake batter. The finished cake, below. I warned you that it is not pretty. Preheat oven to 350. Grease and flour a 9 x 12 inch pan. Cream butter and sugar. 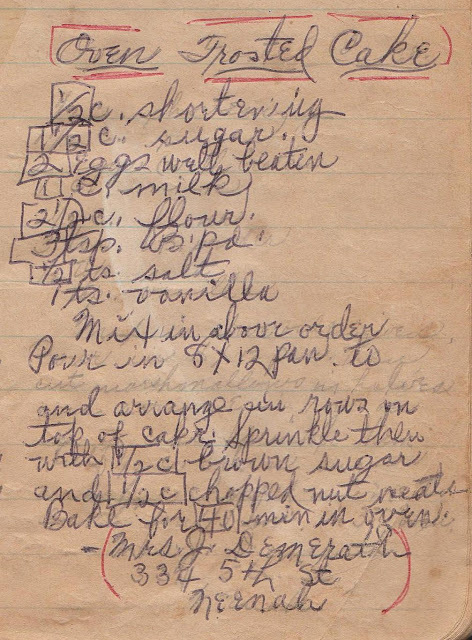 Combine flour, baking powder and salt in a small bowl and set aside Add beaten eggs to the butter mixture, followed by the milk, flour mixture and vanilla. Mix until just combined. Pour into a 9 x 12 pan. 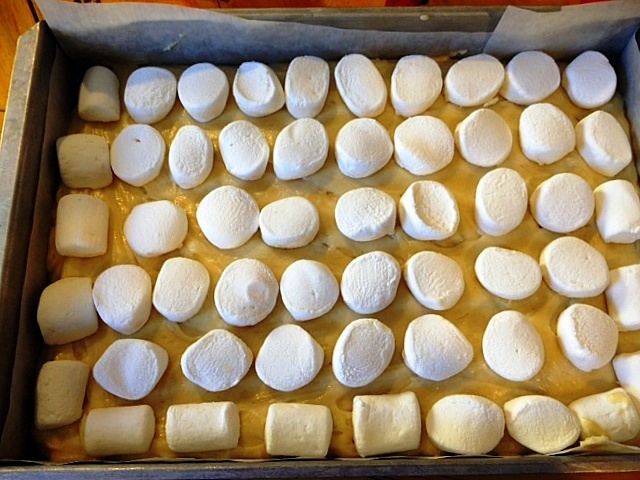 Place cut marshmallows atop cake batter, arranging in rows. Scatter nuts and brown sugar on marshmallows. I wonder if they marshmallows didnt melt like they would have "back in the day" because of the added ingredients now. Either way it sure sounds tasty! wow this is new for me i never think that marshmallows can bake. hmmm i wonder what is the taste of this it looks yummy. So it didn't seem too sweet with the marshmallows and brown sugar? And I'm really lazy when it comes to cutting marshmallows. I find a clean pair of kitchen scissors gets the job done nicely!